When you are handling yours or somebody else’s hair, you need to be sure that the tool that you are using are up for the job and won’t let you down in the middle of the cut. As such, you need to get your hands on one of the best barber clipper packages that are currently available. Wahl 79524-3001 Home Barber 4.3 / 5 $ More details! 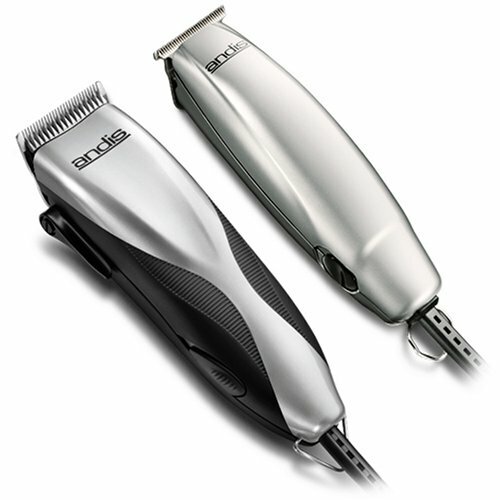 Andis Promotor Clipper and Trimmer 3.9 / 5 $ More details! OSTER Classic 76 Universal Clipper 4.5 / 5 $$$ More details! 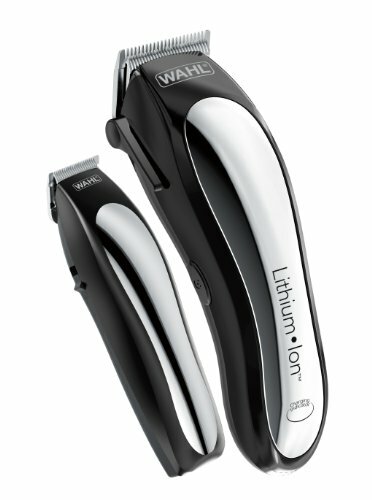 Wahl 79600-2101 Lithium Ion Clipper 4.3 / 5 $$ More details! OSTER Fast Feed Adjustable Pivot 4.4 / 5 $$ More details! Wahl Professional 785110 Clipper 4.3 / 5 $ More details! 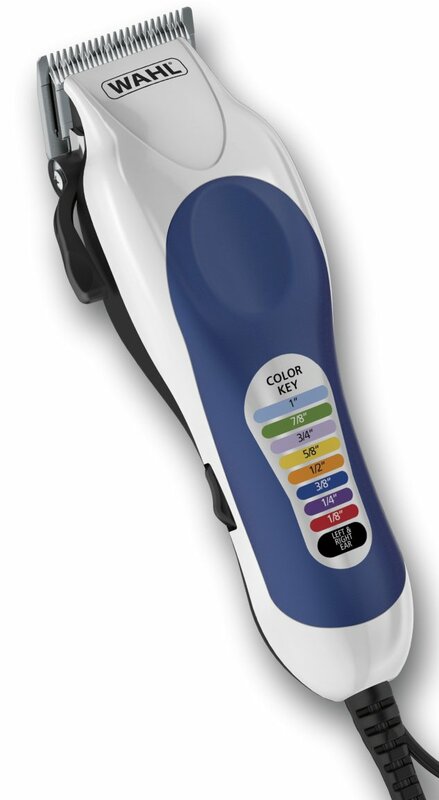 Wahl 79300-400 Color Pro Kit 4.4 / 5 $ More details! While the manual barber clipper had existed for many years, the electric models that we are so familiar with today are less than a century old. The very first electric clipper was created by a man name Leo Wahl, who patented his design and sold thousands of them throughout the United States after introducing them in 1921. That didn’t prevent others from entering the market though and there were soon a variety of suppliers, all with their own variations on the electric hair clipper design. 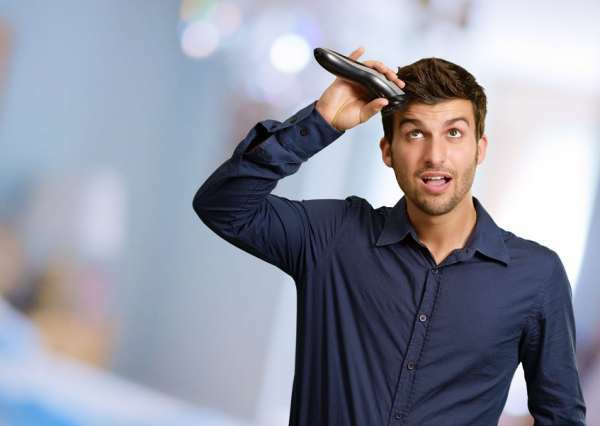 There are a number of benefits to buying the best barber clipper. Apart from giving you the chance to cut your own hair or set up a small business for yourself cutting other people’s, a good clipper will ensure that you are as accurate as possible and often comes with a range of accessories that make the job that much easier. Furthermore, having a name you can trust means that your clients will be able to trust you, this allowing them to feel surer in the haircut that you provide. Unless you’re solely going to be shaving heads, it helps to have a number of other tools of the trade if you are going to be a barber. A variety of scissors and combs are absolutely essential, as these allow you to work manually with the hair rather than simply shaving it off. As such, these barber clippers should be thought of as one piece of your collection of equipment, rather than the whole thing. Now lets have a look at some of the best barber clippers on the market. If you want to get everything that you need to get started as a barber, you can do much worse than the Wahl Home Barber 30 Piece Kit. You may recognize the name as that of Leo Wahl, who invented the electric clipper and it is the company that he founded that supplies these specially branded clippers and accessories. This kit comes with a range of pieces, including clippers, combs, scissors, brushes and various other attachments. Couple that with the extremely high quality blades that are used in all of the pieces that need them and you have a kit that’s perfect for barbers. Comes with 30 different pieces of barber’s equipment. Steel blades featuring high carbon levels as standard. The clipper itself comes with a 5 year limited warranty. Compact, making it perfect for traveling as well as use at home. Made in the USA and not compatible with international power outlets. Many reviewers have highlighted just how much value for money you get with this kit, particularly when thinking about the quality of the accessories that are provided alongside the clippers. The build quality and fairly quiet operation of the clippers have also been praised. Some people have experienced manufacturing issues with their clippers, claiming that they didn’t work after being removed from the box. A minority of other users have claimed that their clippers start making a loud noise after having been used a few times. This set may not contain the absolute best barber clippers around, but when you consider everything that you get alongside it, you can’t think that it is anything less than a bargain. The set currently carries a 4.4 out of 5 rating and you know that you be receiving quality for the simple fact that you a purchasing from a manufacturer like Wahl. Andis advertise themselves as the leader in both retail and professional hair products, with their range of clippers helping them to make a particularly strong case. This is a 27 piece kit that features practically all of the accessories that you will need to start cutting from home, in addition to being suitable for use in a professional setting. 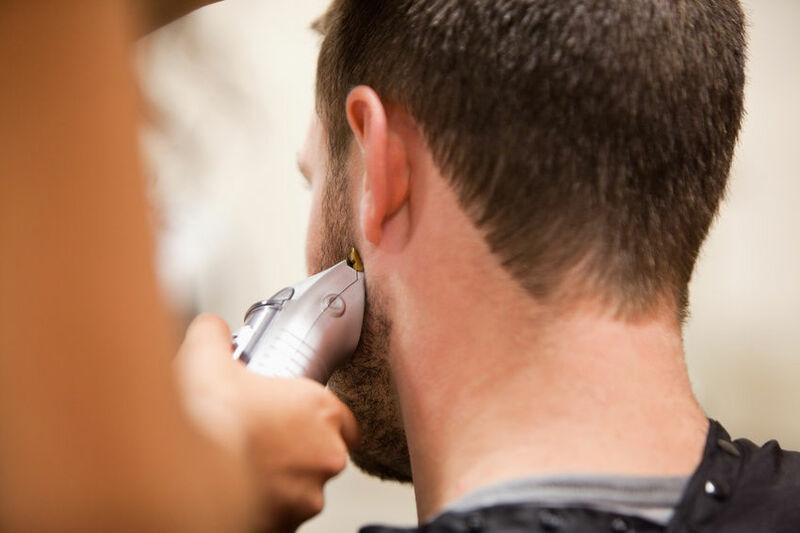 Featuring a wide range of trimmer attachments, you will be able to get the trim that you need from them, allowing you to accurately manage sideburns and beards in addition to working with hair. With the additional combs and scissors, you have a kit that is well worth investigating. Clippers are advertised as being four times more powerful than a comparable motor unit. Comes with a handy storage case for when the kit isn’t in use. 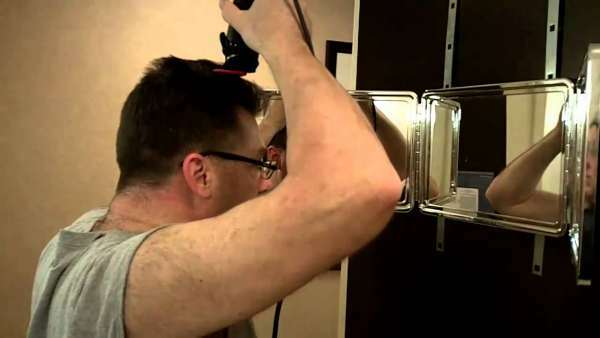 Training DVD shows you how to use your clippers, trimmer, and accessories. Comes with 8 clipper attachments and a number of clipper combs. Entire kit enjoys a solid 5 year warranty. A lot of reviewers have praised the clippers and trimmer for offering a low volume of noise with very little vibration, making them much easier to handle when working with hair. The amount of accessories included was also appreciated, as was the training DVD, even if some found it a little basic. Some people have taken issue with the apparent heat generated by the clippers, claiming that they are made unusable if they are left to run for more than a few minutes at a time. A few also claimed that the accessories included in the kit aren’t particularly strong. 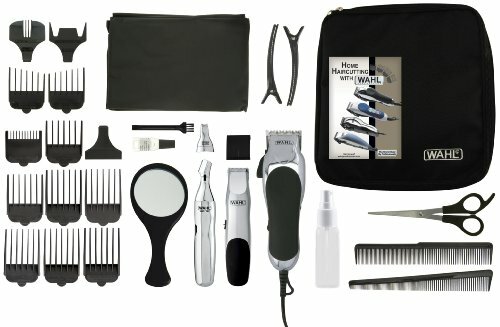 This may be one of the best barber clipper sets for those who are looking into giving haircuts at home and want something that will help them to get started. The handy instructional DVD will tell you everything that you need to know and you should have practically everything that you need in the kit itself. It currently has a 3.9 out of 5 rating from several hundred reviews, suggesting that it is possible you may experience the overheating that others have mentioned. OSTER takes a no nonsense approach to its clippers, creating a heavy-duty set that are built to last you for a very long time. This makes them an ideal addition to any barber’s collection, in addition to making them perfect for people who want to cut hair at home and simply want clippers that are reliable and will get the job done every time. The design was been carefully created to make these clippers as strong as possible, so you won’t have to worry about accidentally dropping them on the floor while you work. In most cases, they will bounce right back and be ready to use again with no issues. Includes a powerful motor that ensures that give an exceptional cut at all times. Can be used to cut both wet and dry hair without any issues. A blade guard, lubricating oil and some other accessories also come with the clipper. The textured clipper is extremely easy to hold and handle. Many people have pointed out just how much the OSTER clippers stand out from the cheaper alternatives, featuring a powerful motor and smooth operation that puts many other types of clipper to shame. Its durability has also been praised by many, with some going as far as to say they could last you a lifetime if treated well. Some people have encountered manufacturing issues that have caused their clippers to break after a short period of use. A few have also mentioned that dealing with OSTER customer services can be quite difficult, though such issues are a rarity on a general level. If you’re simply looking for the best barber clipper for getting the job done, you could do far worse than the OSTER Classic 76 Universal Motor Clipper. Offering plenty of power alongside an excellent design, its 4.5 out of 5 rating from around a thousand reviews is a testament to their quality. Wahl makes another appearance on this list with a pair of clippers that are perfect for those who hate having to step around that pesky cord when they are cutting hair. Of course, the battery included with these types of clippers needs to be up to snuff in order to ensure it can provide enough power to cut, but Wahl has that covered with a superb lithium ion battery. The clippers also come with a handy storage case that includes a range of different guide combs ad clipper blades. The handy instructions will also allow you to get started as soon as you take them out of the box. Comes complete with a set of instructions for novices. 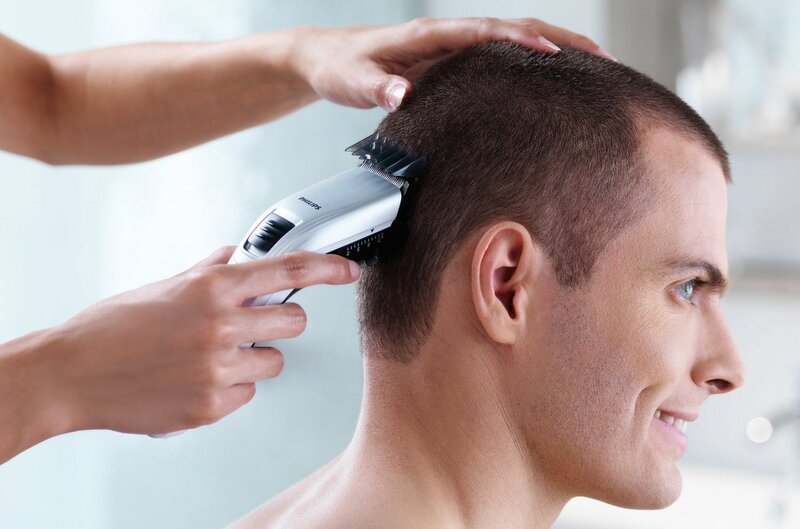 Clipper is accompanied by a trimmer that is perfect for achieving detailed cuts. Quick charging available, with 15 minutes of charge offering 12 minutes of use. Comes with a range of accessories allowing you to cut to whatever length you want. Has a handy carry case that makes it perfect for travelers. The quality of the battery in this set of cordless clippers has been praised, both for the length of time that is capable of lasting and for the fact that it will not deteriorate through overcharging. The majority of people are also extremely satisfied with the power of the clippers, particularly as they are wireless. Some people have taken issue with the way the clippers feel in the hand, with some reviews claiming that they have something of a cheap quality to them. A few users have also taken issue with the customer service offered by Wahl, claiming that returns and replacements are shipped too slowly. This is an excellent set of clippers for personal use, coming with a price tag that is affordable to most people. While they may not be the best choice if you are intending to use them professionally, this clipper is more than capable of giving a quality cut, as evidenced by the 4.3 out of 5 rating that they currently carry. OSTER make another appearance on the list with a set of clippers that continue their no-nonsense approach when it comes to design and practicality. Featuring a pivot motor that is advertised as being much quieter and more powerful than the standard motors that you will find in other clippers, they are an excellent choice for professionals. These clippers have been specially designed to go the distance, meaning that you can use them throughout the day without having to worry about overheating or any other issues that are often associated with some other varieties. The pivot motor is extremely quiet and offers a large amount of power. The clippers are capable of cutting through both wet and dry hair. Comes with lubricant, a handy blade guard, and a cleaning brush. Designed for extensive use, so you can feel safe having the clipper plugged in all day. Comes with a set of four guide combs. The overall quality of the product has come in for the most praise, with many being exceptionally satisfied with the power of the clippers and the cut that they can provide. Most have noted that they truly feel like a professional set of clippers, rather than clearly having been made for home use like many others. A minority of users have experienced issues when buying a brand new set of clippers, with some receiving a set that appear to have already been used. This is likely a shipping error on the part of OSTER and should not be considered the standard level of service that they provide. Once again OSTER delivers one of the best barber clipper sets on the market, offering a professional level of quality for a fairly low price that is backed by a 4.4 out of 5 rating from more than a thousand reviews. You should be able to get a solid and powerful cut from these clippers though it is worth checking them out to make sure your set is brand new upon receipt. Wahl makes another appearance on this list with a set of clippers that are perfect for home use, and may even be useful for professionals. As the name implies, these are single-cut clippers that are intended to offer a close cut, offering the balding look instead if trimming hair down to a certain length. This makes them the perfect choice for people who already have a set of clippers that they are happy with, but are looking for a pair that will allow them to cut hair right down to the skin without causing any irritation after the cut. This is a single cut clipper intended for completely shaving hair off. The blades are of a high quality and offer an exceptional cut. Wahl claims that they operate at twice the speed of pivot motor clippers. Comes complete with a pair of cutting guides. Comes packaged with a number of accessories, including a barber comb and a pre-shave brush. The clippers have received a lot of praise for the quality of their cut, with a lot of people who had a full head of hair claiming that they were able to achieve a balding look in very short order. The build quality is also commended, with a number of users pointing to how sturdy they feel in the hand when in use. A minority of users have experienced issues when using the clippers, including scratching and pulling that makes their use quite painful. However, it appears that this may be due to improper use of the clippers, rather than the product itself as most achieve a clean cut that gives them very few issues. If you are looking for the best barber clipper set for giving yourself the balding look, there are no better options on the market for the price that you can pick these clippers up at. They currently have a 4.2 out of 5 rating from more than a thousand reviews but be sure that you know how to use them properly before trying your first cut. We finish the list with another large kit from Wahl, this one being offered at an even lower price than their previous kit. However, you will receive fewer accessories here, as the kit offers 20 instead of the Wahl 79524-3001’s 30. In most cases, this should be more than enough for home use, though. One of the most interesting aspects of this kit is the focus on color, with many of the adjustable blades coming in a variety of different shades. This makes them a good choice for people who are cutting the hair of young children and want to use clippers that look more friendly and inviting than some of the other options on the market. 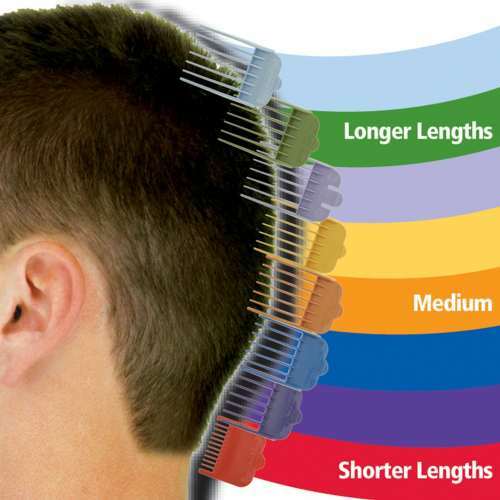 The color-coded guide combs make it easier to remember what lengths can be achieved with each one. The steel blades are self-sharpening and designed to last for a very long time. Features a soft touch grip that makes them very easy to handle. Comes with 20 accessories, including combs, scissors and brushes. A lot of people have been impressed by the quality of the clipper, particularly given the low price of the set, saying that it feels nice and weighty in the hand while also offering plenty of power. The range of included accessories is also appreciated by many reviewers. Some people have taken issue with the loud buzzing of the clippers, claiming that they are unsuitable for use with children. However, this seems to be a minor problem and not one that is shared by the majority of people who have used the product. For the low price, this may well be the best barber clipper set on the market. You will have everything that you need, including a pair of clippers that offer plenty of power and are capable of offering a superior cut in the majority of cases, as evidenced by the 4.3 out of 5 rating they currently boast. When choosing the best barber clipper set for you, it is important to consider what you are looking for from your clippers. If you want a full home grooming set, the Wahl 79524-3001 Home Barber 30 Piece Kit offers absolutely everything you need to get started, allowing you plenty of flexibility with your cuts. 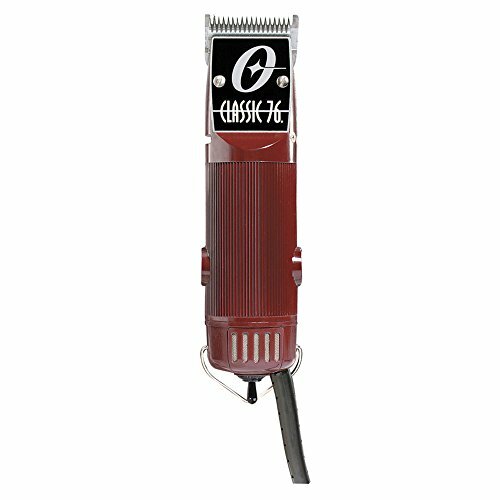 In terms of pure quality, both in design and power, the OSTER Classic 76 Universal Motor Clipper are perfect. These are the clippers you should consider if you’re working as a professional barber, as they will last for ages and pack plenty of power. Finally, those looking to achieve the bald cut should consider the Wahl Professional 785110 5-star Series Balding Clipper. While they don’t offer much in the way of versatility, the one thing that they do is done very well. More and more people are choosing to purchase high quality barber clippers and cut their own hair at home, not only saving themselves a tremendous amount of money (with the price of men’s haircuts skyrocketing in just the last few years) but also a lot of time. A top-quality professional grade set of barber clippers – just like the ones that your barber uses – will set you back maybe $50 at the most, and when taking care of they are going to provide you with literally years and years of haircuts without any extra expense. There’s just no other way to go if you’re willing to take the plunge, learn a couple of tips and tricks like the ones we offer below, and start cutting your own hair rather than go to your barber and have them cut it for you every month or so. If you are used to going to your bar and getting a very involved haircut that’s going to involve plenty of scissor work, or one that requires you to layer different parts of your hair to get the kind of finished look your, you’re probably going to be disappointed with the finished product the first time that you handle your new barber clippers. There is a reason, after all, why these barbers have to spend hours and hours learning how to cut hair before they ever get their license and hang out their shingle! Now, on the other hand, if you are looking for a much more simple and straightforward haircut (and not just a buzz cut) you are probably going to find cutting your own hair to be a lot easier than you ever would have thought it was. Simple and straightforward haircuts are only going to require you to change the blade guard lengths from time to time, blending one level of cut into another so that your finished product looks pretty nice, tight, and concise. Cutting the sides and front of your hair is going to be really, really easy with your new barber clippers when you stick to simple and straightforward cuts – but getting the back of your hair and your head to look just right is going to be almost possible without a quality secondary mirror that you can use to have “eyes in the back of your head”. You’ll want to cut the sides of your hair first so that you have a rough guideline to move with, but then you’re going to want to pick up a midsized handheld mirror and hold it behind your head while looking into a bathroom mirror, for example, so that you can even up the back of your hair and your head. This is the only way to make sure that you haven’t missed any spots, that your hair is evenly blended throughout, and that your cut is just as clean and as professional as if you had gone to a barber. A quality handheld mirror is only going to set you back five or six dollars, so it’s definitely a smart investment that you want to make ASAP. Depending upon the specific brand of barber clippers that you end up purchasing, different blade guards are going to equate to different lengths of cut – and you want to make sure that you understand exactly what you’re dealing with before you grab a #2 and just kind of dive right in. Make sure to read the literature that was provided with your new professional barber clippers, and then pay attention to the finished product that you get when you use specific guards with the blade level set at different depths. You’ll really be dialing your perfect haircut after running through an entire cut all on your own maybe two or three times, and from there you’ll be good to rock ‘n roll! Some professional grade barber clippers include color-coded blade guards that make it really easy to tell one from another. These aren’t a bad investment, either. 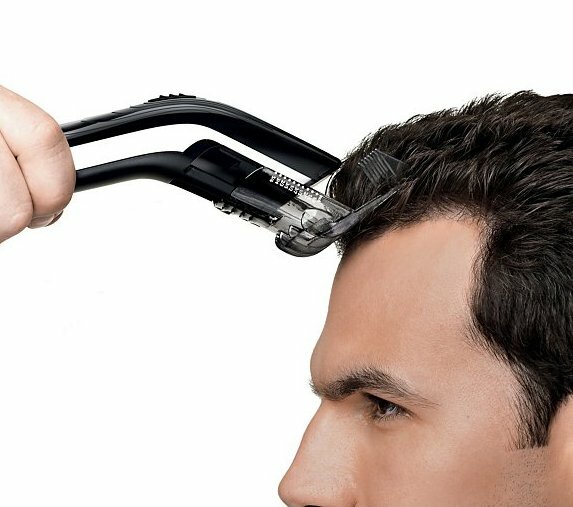 As we mentioned above, professional grade barber clippers aren’t going to set you back any more than maybe $50 or so – but that doesn’t mean that you have to treat them a push lawnmower, letting them go completely unattended to and completely unclean until a problem pops that you have to address just to get them to start up again. Clean your clippers every single time you cut your hair, and make sure that you are using the blade oil that has been included with the clipper kit. This is not only going to make your clippers run a lot smoother, but it will also help them keep their sharpness longer and prevent any rust from locking them up prematurely. At the end of the day, cutting your own hair is going to be a lot easier than you thought if you use the inside info below. YouTube videos will help you learn different styles you can cut on your own, and they are worth watching. Just have fun with this and remember – even if you mess up, the worst that can happen is you have to spring for a professional to cut your hair again and you can start all over in a month or two!